We’re all here, obviously, because we love cars and bikes. But the great people who make up the car community—they’re just as much a reason to love our weird little niche as anything with wheels. The beach town of Wildwood, New Jersey, becomes the home of one extraordinary pocket of car culture every year called The Race of Gentlemen. 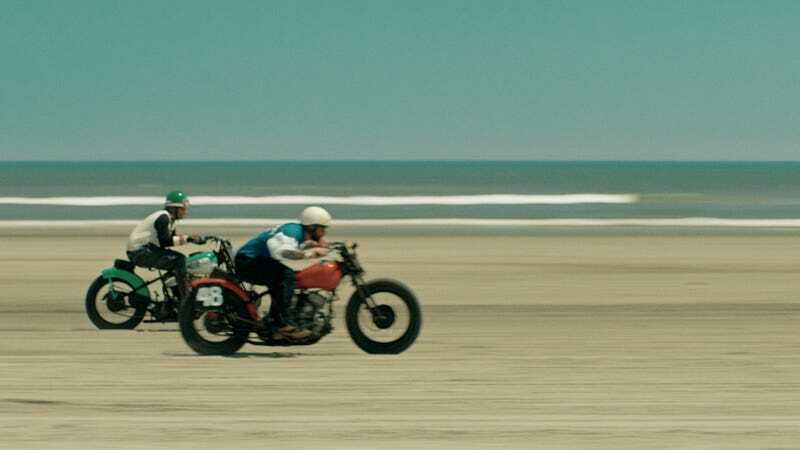 It’s where people from all over the world come to race their 1920s and 1930s bikes and hotrods across the sand. There’s nothing elitist about The Race of Gentlemen. Anybody is allowed to show up and you get to see all kinds of things and meet all sorts of people. And just because it’s called “The Race of Gentlemen,” doesn’t mean that women aren’t allowed to participate. They’re strongly encouraged, in fact. A short filmed titled “The Normal People” and directed by Daniel Soares taps directly into the heart of the event, perfectly capturing the people and what the mood is like. Soares told us that the event is a visual spectacle. He fell in love with how the attendants are true to themselves and what they love and how life doesn’t have to be more complicated than a motorcycle on a beach. “My vision was to focus totally on the people behind this and how these people often times are misunderstood,” he explained, referring to the negative stigma that oftentimes is associated with biker culture.